I stopped here with some friends on a trip through Denver, and really enjoyed their offerings. We were there in the early afternoon, so it was very quiet. Given that, I would have expected service to be a little quicker, but it wasn't awful. The food was solid. I had a burger, and it was juicy and flavorful. Everyone else seemed happy with their food also. The beers were good too. They have a pretty good assortment, and all of them are good. Since I've been there, I've had several of their other beers as I find them in the supermarket, and haven't been disappointed yet. I chose to visit this location since it offered BBQ in addition to the beers that are brewed on site. 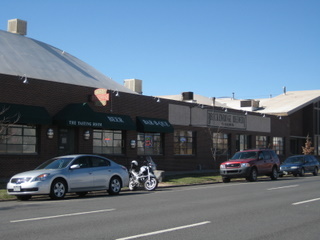 I ate lunch there on the Saturday of Memorial Day weekend and had a great time! The location is outside of downtown, but well worth the trip. The BBQ was outstanding!! The pulled pork was by far my favorite. The food alone is worth the trip out to this location. 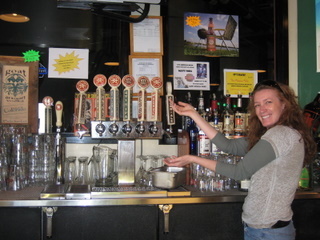 I believe we tried the Agave Wheat, Vanilla Porter, and Summerbright. The Agave Wheat was pretty good and a good recommendation for summer drinking. The Vanilla Porter was also very nice if you enjoy porters. The food by far was outstanding and I would absolutely recommend going there for the BBQ. The fact that they brew their own beers on location was an added bonus. this place isn't very big. the beer and food were really good. We went there on a night when they had a friend's band playing so it was really packed but i don't know if that's normal or not. got some bbq and it was pretty good for a beer joint. reasonably priced. I started with several double ipa's. that beer alone is worth the trip. i rank it up there with the maharaja from avery. very hoppy, very tasty, strong abv. then switched to the agave wheat, which is a decent wheat. i've some of their other beers too, they're pretty mainstream, and most are pretty good. Holy hops, how has this place not been reviewed yet?? 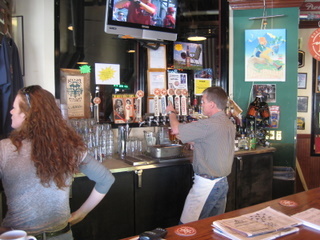 On a short trip to Denver (couldn't make it to Great Divide) this was BY FAR the best brewpub I found. 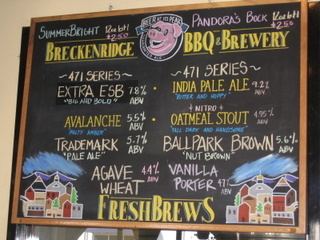 I've seen a grand total of one Breckenridge beer at home (Boise, ID) the Vanilla Porter, and disliked it very much. I went to this place more under a carnivore craving than anything else, but I was blown away! They had 8 beers on tap (everything I tried was very good) including creative seasonal offerings that included a WICKED double IPA - on par with Lagunitas Maximus, but closer to Laughing Dog's Devil Dog. Beyond the beer - the BBQ! For a measly $10 you get two-meat BBQ platters with a couple of hearty, tasty sides. $10 for the biggest meal in downtown Denver! The food was fantastic! We tried ribs, pulled pork, brisket and sausages - wonderful! All this with an entertaining and engaging waitstaff made for a very memorable evening. It's a little off the beaten path, maybe that's why there are no reviews. But if you experience what we experience you will want to come back for more guaranteed!